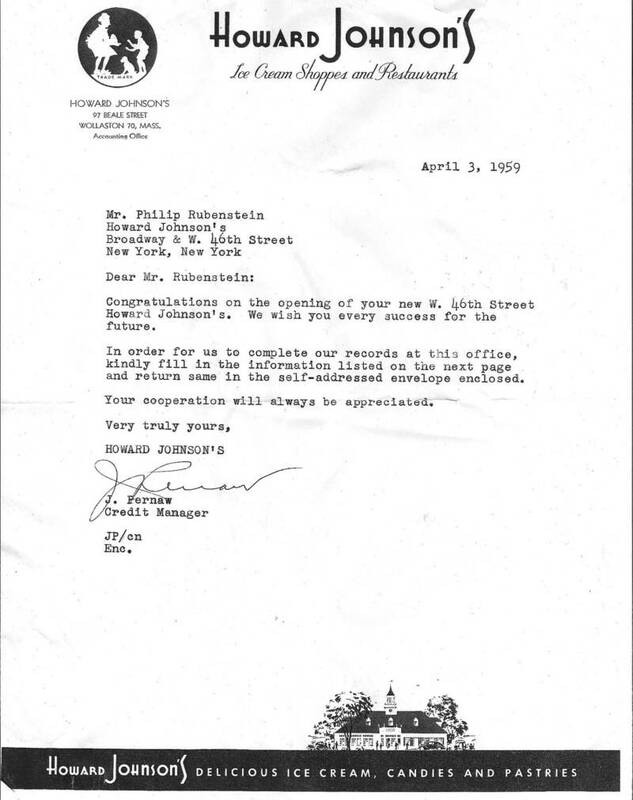 HoJo's 1959 Opening "Welcome" Letter Unearthed ! 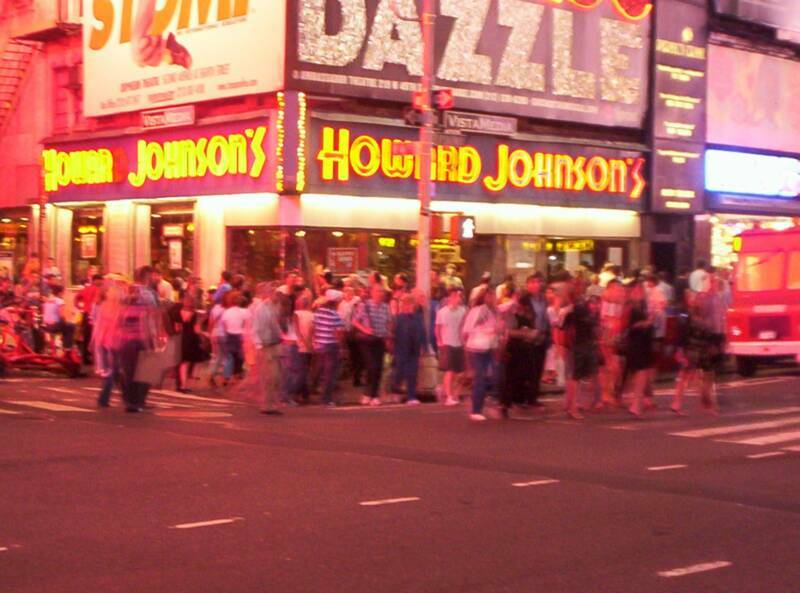 (June 14, 2009) The "grand lady" of all HoJo's, the former Times Square (46th Street) location, closed in 2005. Soon, apparel retailer American Eagle, will open it's flagship store in the former location. And while cosrtuction crews have unearthed lots of old brick from the former 100 year old-plus building that housed HoJo's, HoJoLand.com has unearther a 1959 letter from the Howard Johnson Company to the Rubenstein family, congratulating them on the recent opening of their HoJo's unit at 46th Street. Click on the photo to the right to see a larger version. This website and its contents are copyright 2001-2018 by W.Mann. When we sampled Mama Mae's, we at HoJoLand.com were shocked at how similar the taste was to HoJo's! If You've Never Heard of a "HoJo-archaelogist," Now You Have! she plants a new garden, she continues to find shards of plates from Howard Johnson's Ice Cream and Restaurants. The woman jokingly stated that someday in some new garden they design, they will find the mother load!! Her neighbors have never seen such a thing in their yards. The woman, whose name is Denise, said, "it seems like a HOJO was Pompeii'd here!" We will keep you updated on any developments in this un-earthing of HoJo relics. 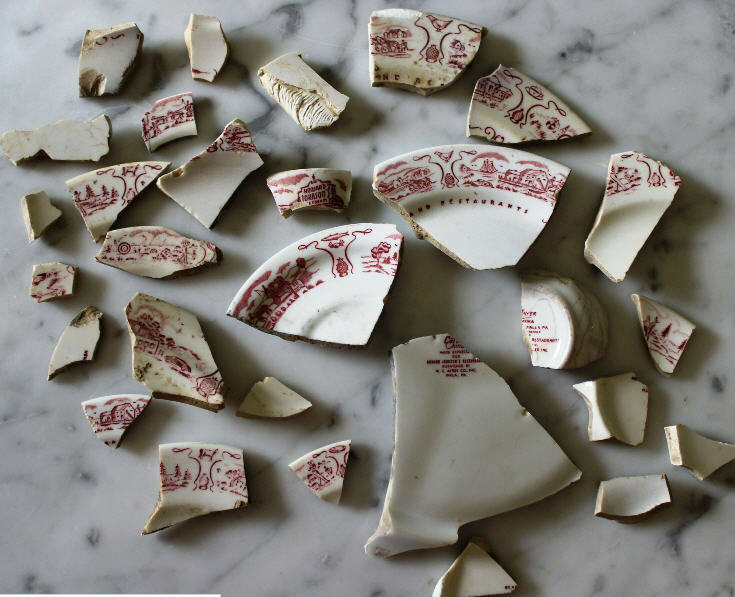 Above: Some of the pieces of HoJo plates unearthed in a garden is rural Glenns Falls, PA.
Picture taken January 12, 2017 of the last HoJo Restaurant in existence in Lake George, New York. As the signs indicates, the site is being marketed as a potential development site. 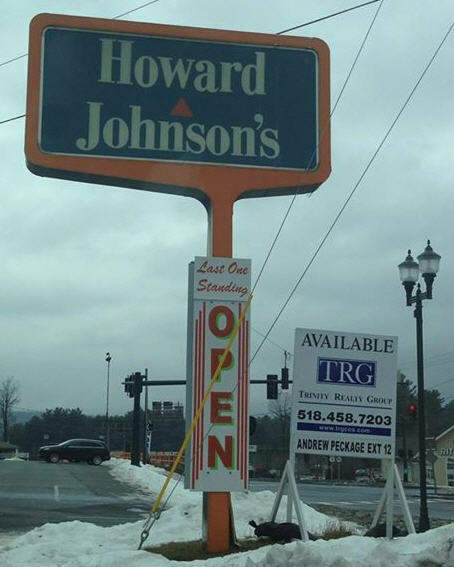 The last Howard Johnson's Restaurant standing, located in Lake George, New York, is for sale and is being marketed as a potential site for redevelopment. This HoJo Restaurant re-opened within the last year or so after being shuttered for four years by the previous owner. The man responsible for re-opening this HoJo, John LaRock, who was accused of criminal misconduct, continues to try to operate the restaurant, on a limited basis. The Bangor, Maine location closed in 2016. Thus, with the the closing of the Lake George HoJo, it is undoubtedly the final chapter in the storied, orange roof chain's history that traces back to the 1920's. Since 2005, two different businessmen, David Kushner, as well as Jerry Costa, both individually tried to work a deal with Wyndham Worldwide, who owns the HoJo/Howard Johnson's name and brand, to relaunch the food operations of HoJo, but both failed in their attempts, mainly due to a lackluster interest by Wyndham in operating HoJo as anything other than a lodging operation. While miracles can happen, at this juncture, and after several failed relaunch attempts, it appears the end is finally here for the orange-roofed HoJo Restaurant chain, unless an Orange Knight materializes and comes to the rescue. Funeral for A Friend: Location of Last HoJo's Restaurant Standing For Sale As A Development Site. Though Wyndham has offered various "retro" options for its lodging franchisees, and Ocala, Florida, has done a nice job, HoJo Anaheim (www.HoJoAnaheim.com) has really debuted the best example of what a retro-rebuild should look like. 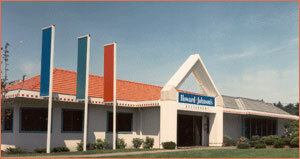 As you will see in the video to the right by Charles Phoenix, the newly remodeled HoJoAnaheim (located across the street from Disneyland) features original HoJo color schemes, orange roofs, original HoJo logos on cups and other marketing materials, and employees wearing shirts with classic HoJo logos. The decor is beautifully retro, with retro clocks, furniture, lobby elements, and more. HoJoAnaheim also has its own Family Water Playground on premises. If Wyndham could only convince more franchisees to go this route, and add the REAL retro look, it could be the beginning of an actual rebirth of the HoJo brand we remember...and long for. 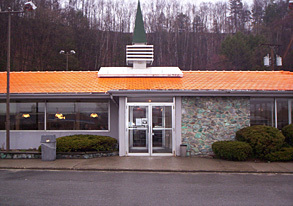 The first HoJo Restaurant in Connecticut was located in Fairfield. It was opened in 1935 by Irving Carter, in his late 20's, who would open another HoJo unit in Milford, CT, in a converted Dutchland Farms, in less than a year. Mirroring the growing trend of Dutchland-to-HoJo conversions, HoJo's bought the remaining Dutchland units in the early 1930's. Irving Carter would eventually hand over his restaurants to his son, George, who, under the Toll Gate Foods banner, would operate a number of HoJo units in addition to Fairfield and Milford, including HoJo's in New Haven, Waterbury, Branford, Mystic, as well as Ground Rounds in New Haven and Branford. George Carter led the charge to form Franchise Associates, Inc., (FAI), a franchisee-run company. 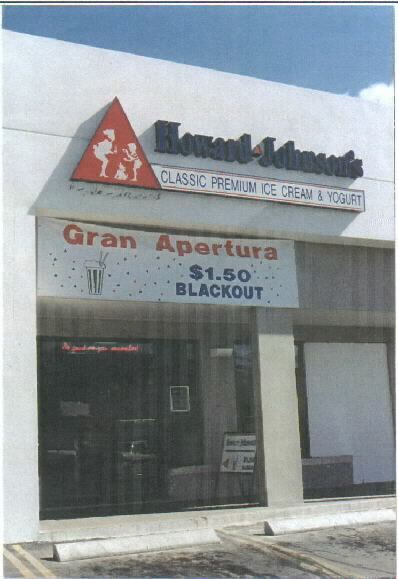 FAI won the rights, in an out of court settlement, to use the name HoJo's to continue to operate HJ Restaurants, Ice Cream Shops and the retail HJ food operations. Though FAI tried to succeed, it eventually failed and the rights to the HJ food and beverage operations reverted to what is now Wyndham Worldwide. In comparing the pictures to the left, you can see the same roof line and overall size of the building. There was a co-located HoJo Motor Lodge that was added years later, and expanded to quite a large footprint. In 2016, most, but not all of the motor lodge was demolished and condominiums were built. 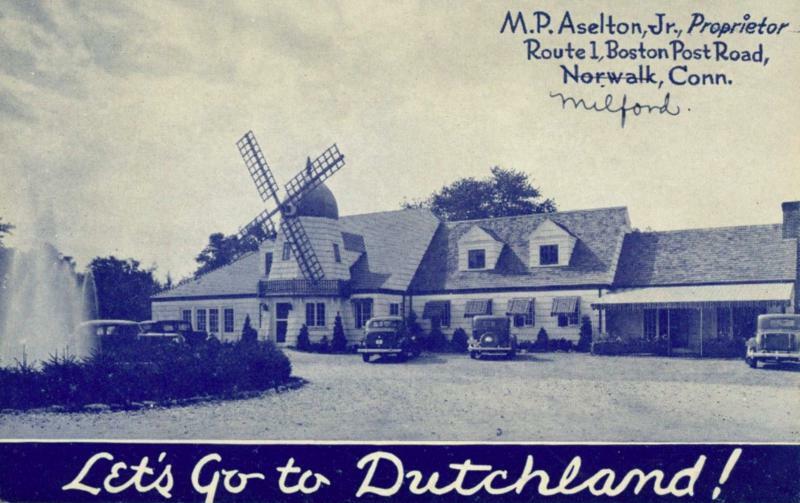 Top: 1040-1052 Boston Post Road, Milford (1930's) as a Dutchland Farms Restaurant. Irving Carter, the owner of this Dutchland Farms, would switch this unit to a HoJo's by 1936. It would remain a HoJo until 2000. Bottom: 1040-1052 Boston Post Road, Milford (2018). This Friendly's unit closed in 2018, as part of the continuing downfall of the chain. Horn & Hardart, and a predecessor of companies such as McDonald's. 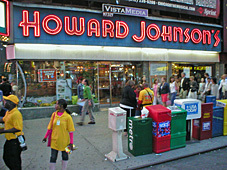 In 1959, this 46th Street location was converted to a Howard Johnson's, and would remain so for 46 years, until closing on July 8, 2005. 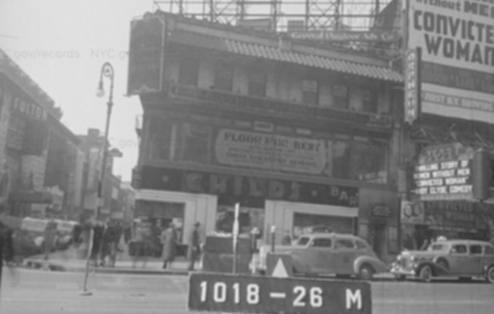 It was later demolished and is now a location of a retail clothing chain.